We aim to provide optimal patient care by striving to integrate internationally-renowned research with exemplary teaching and training in clinical practice. 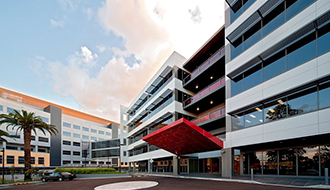 The Department of Clinical Medicine is an integral part of Macquarie University’s initiative to develop MQ Health, Australia’s first fully-integrated health sciences centre under university leadership. 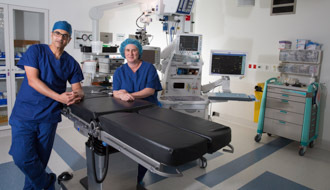 Our close relationship with Macquarie University Hospital provides a unique opportunity for both translational and health services research, as do the strong internal partnerships across the Faculty of Medicine and Health Sciences, the Clinical Trials Unit and the on-site resources of the Australian Hearing Hub. 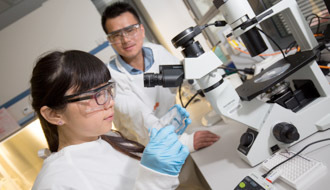 The department maintains active academic strengths in cancer medicine, neuroscience and vascular science and has established leading research programs in these areas of expertise. 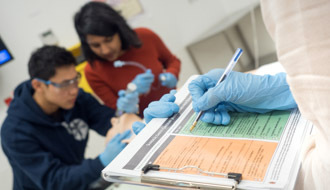 Together with the outstanding clinical environment, excellent infrastructural and supervisory resources, we’re able to offer an unrivalled platform of learning for medical and research students.